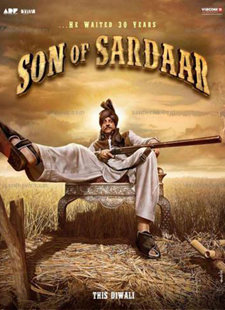 Tu Kamaal Di Kudi Lyrics of Son Of Sardaar : Tu Kamaal Di Kudi is a beautiful hindi song from 2012 bollywood film Son Of Sardaar. This song is composed by Himesh Reshammiya. Vineet Singh and Mamta Sharma has sung this song. Its lyrics are written by Manoj Yadav. Sunn warning meri kar na katha..